New Buffalo Lakefront Property for Sale - New Listings! 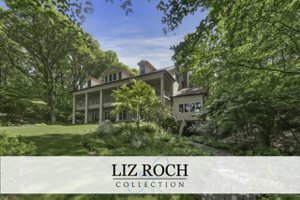 Lake Michigan Frontage - New Listings! Courtesy of Andre Priede with Coldwell Banker Residential Brokerage. Courtesy of Michael George Lirones with Gold Realty. Courtesy of Thomas R Hemingway with RE/MAX Harbor Country @ Union Pier. Search all Harbor Country Lakefront property listings with our easy to use MLS real estate search. Get daily email alerts of new home, condo and land listings as they become available plus price changes. Lake Michigan Frontage is very sought after and is in limited supply. The market has corrected somewhat since the peak in 2006/2007, but values have held up well, and there have been few distressed property sales on the lake. Frontage ranges from no dune, walk out on the beach, to high dunes of over 100 steps. Some beaches are wide and piled high with the "singing sands" of the Michigan coastline, while other beaches are rocky, and have trouble retaining sand. The man-made break wall at New Buffalo has depleted the beach in the area to the south of the wall. If you are looking at a property south of the harbor, make sure to take some time scouting out the beach and water access. On the north side of the break wall, some buyers are now combining two adjacent 100' lots to create estate sized parcels; the new homes seem to get larger every year. The Peninsula at New Buffalo is a new option in the harbor, which offers single-family homes on the water, at a more manageable price point. There are always new Lake Michigan Properties for Sale, bookmark this page for a quick reference of new listings. New Buffalo Lakefront Property just north of the harbor is the most sought after and carries the highest prices per foot of frontage.